Polymers play an important role in our everyday life. With the advent of additive manufacturing (AM) technologies, the design and manufacture of new polymer-based composite materials has experienced a significant boost. AM enables precise deposition of printable material(s) with micro scale accuracy to build up a desired structure in three dimensions in a layer-by-layer fashion. 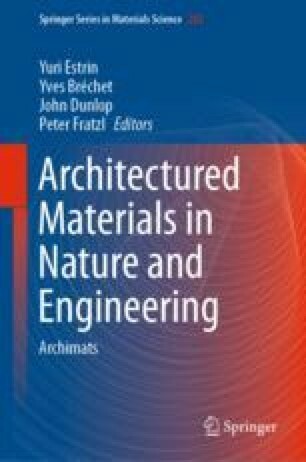 In this chapter, recent advances in the use of additive manufacturing for the design of architectured polymer-based materials is discussed. A compendium of the existing AM methods is presented, followed by an overview of applications of AM technology to fabrication of polymer-based materials with engineered inner architecture. The authors would like to thank their colleagues, collaborators and former students, especially Ehsan Bafekrpour, Lee Djumas, Yunhe Zheng, and Nathan Way who contributed to some of the content shown.